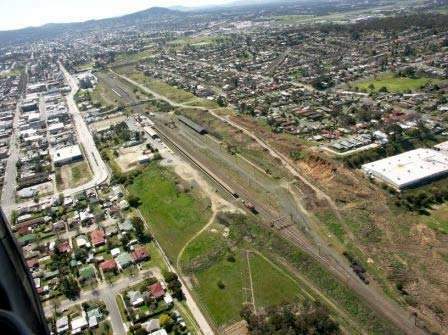 The upgrade of the Hume Freeway through Albury-Wodonga, is an extension of the Hume Freeway from Wodonga to Ettamogah. 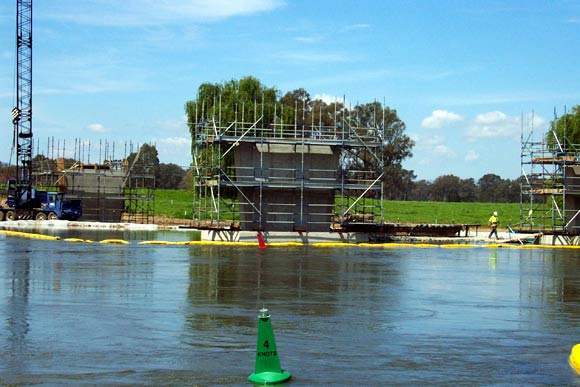 As part of the Albury-Wodonga Hume Freeway Project (AWHFP), a second crossing of the Murray River between Albury and Wodonga is being constructed. The freeway will have full diamond interchanges at Thurgoona Drive, Borella Road, Bridge Street and High Street allowing entry / exit from both directions. 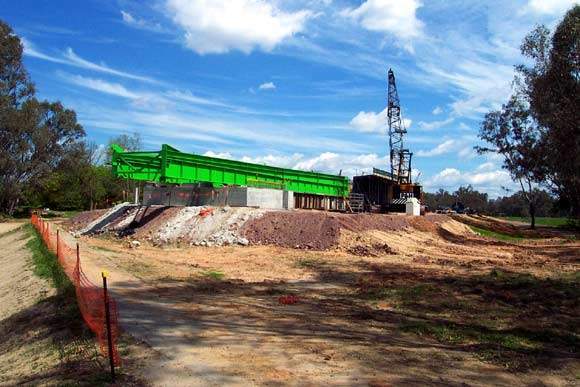 Half-diamond interchanges will be constructed at Billy Hughes Bridge, Corrys Hill and Bandiana Link. The project design includes 13 bridges at different locations and of different lengths. These include over-road, railway, waterways and the Murray River floodplain. The Albury-Wodonga Hume Freeway Project (AWHFP), a 17.4km upgrade of the Hume Freeway through Albury-Wodonga, extends the Hume Freeway from Wodonga to Ettamogah. The work on the project began in April 2005 and was completed in March 2007, opening on the 6th. The project strengthens the major transport link between Australia’s two major cities of Sydney and Melbourne, and improves safety and travel conditions for the people of Albury and Wodonga. The $524m project is being funded by the Australian Federal Government and the Victorian State Government. The new four-lane freeway begins in Wodonga, Victoria, where the Hume Freeway meets the Lincoln Causeway, and extends north-east, ending at Ettamogah, north of Albury, NSW; linking the Hume Freeway at Wodonga in Victoria with the Hume Highway at Ettamogah in NSW. The project conforms to freeway standards stipulated by law, providing overpasses at intersecting roads and access to surrounding areas via entry and exit ramps at key locations. 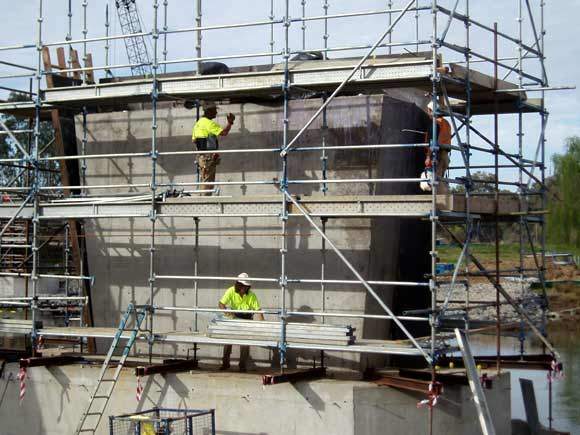 As part of the project, a second crossing of the Murray River between Albury and Wodonga has been constructed, along with a 3.7km road link to Bandiana, connecting the Murray Valley Highway, south east of Wodonga with the Hume Freeway. While the major portion of the Albury Wodonga Hume Freeway Project (AWHFP) was funded by the Australian Government, the Victorian State Government contributed to the Victorian section of the project, including the arterial link known as the Bandiana Link from Murray Valley Highway to the Hume Highway. The Roads and Traffic Authority (RTA) and VicRoads jointly executed the project. Abigroup Contractors Pty Ltd was awarded the design and construction contract. The 2.6km-long Victorian section of the Hume Freeway extension is the final link in the Hume Freeway duplication from Melbourne to the Victorian/NSW border. The 3.7km Bandiana Link was constructed as a two lane two-way road with provision to upgrade to four lanes in future. The freeway will have full diamond interchanges at Thurgoona Drive, Borella Road, Bridge Street and High Street allowing entry / exit from both directions. Half-diamond interchanges constructed at Billy Hughes Bridge, Corrys Hill and Bandiana Link allow exit from only one direction. A roundabout intersection treatment has been developed where the Bandiana Link connects with the Murray Valley Highway. Construction of noise walls was one of the major architectural features of the project. These were built in the surrounds of High Street and along some identified sections of the Bandiana Link. The project includes new parks in East Albury and South Albury and 13 bridges at different locations and of different lengths. These include over-road, railway, waterways and the Murray River floodplain. New legislation on water quality control requires an effective management of rainwater. The AWHFP adopted a water-sensitive road design to meet this requirement, whereby all rainfall runoff within the project catchment area will be directed through wetlands. Street lighting has been provided on all freeway entry and exit ramps and at the intersection of the Bandiana Link with the Murray Valley Highway. The speed limit on the freeway will be 110km/h and 90km/h on the Bandiana Link. The pavement type for the freeway will be 440mm of asphalt, constructed over a 420mm select fill layer and placed on the earthworks subgrade. For the Bandiana Link, the pavement type is 460mm of crushed rock over a 330mm select fill layer. The AWHFP is expected to improve travel conditions and the level of road safety for local and through-traffic. With an estimated 35,000 vehicles per day diverted from the Lincoln Causeway, the freeway is expected to reduce congestion and travel times between Albury and Wodonga. Road users can now avoid six railway level crossings on, or adjacent to, the new freeway. The freeway also bypasses 17 sets of traffic lights and five right-angled bends such as ‘rollover corner’. There will be better access between Albury and Wodonga and the surrounding areas and heavy vehicles will be removed from residential streets in South Albury. A.D. Engineering International is committed to producing the most reliable and longest service life electronic equipment for the traffic ITS industry.